Yes, again, it’s me, tempting you with a delicious loaf of bread. Sadly, I’m not actually sure what type of cheese I used here. It was expensive, very hard, only slightly salty, and quite florally fragrant. I’m pretty sure it wasn’t a type of Parmesan. Whatever it was, it worked well in this loaf. 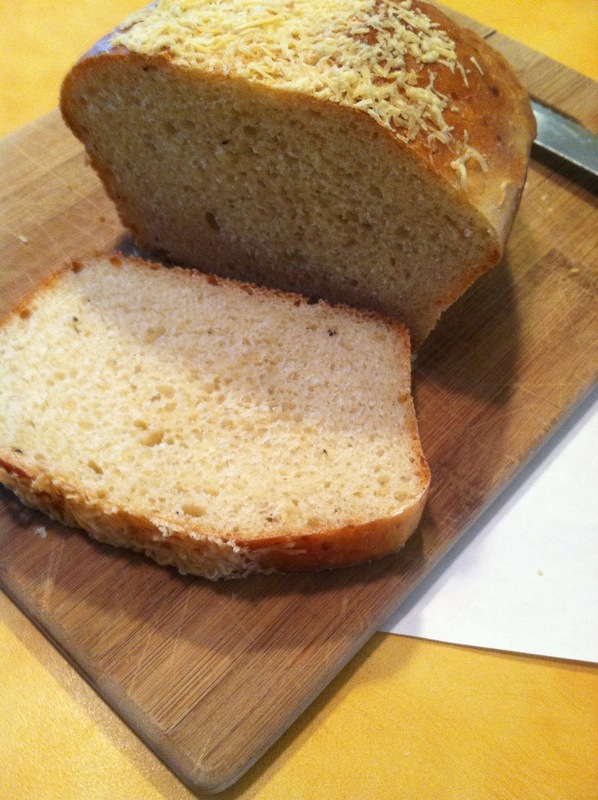 I used pretty much the same rough-recipe as I did a month or so ago with this bread, but without whole wheat. To the dough, I added some cracked pepper and about 1/3 cup of the grated cheese. Then, partway through the baking, I sprinkled more of the cheese on top. 24 Jan	This entry was published on January 24, 2015 at 12:25 pm. It’s filed under Baking, Bread, Food, Uncategorized and tagged andrew, bread, cheese, drink, food, heat, introduction, of, vochman. Bookmark the permalink. Follow any comments here with the RSS feed for this post.